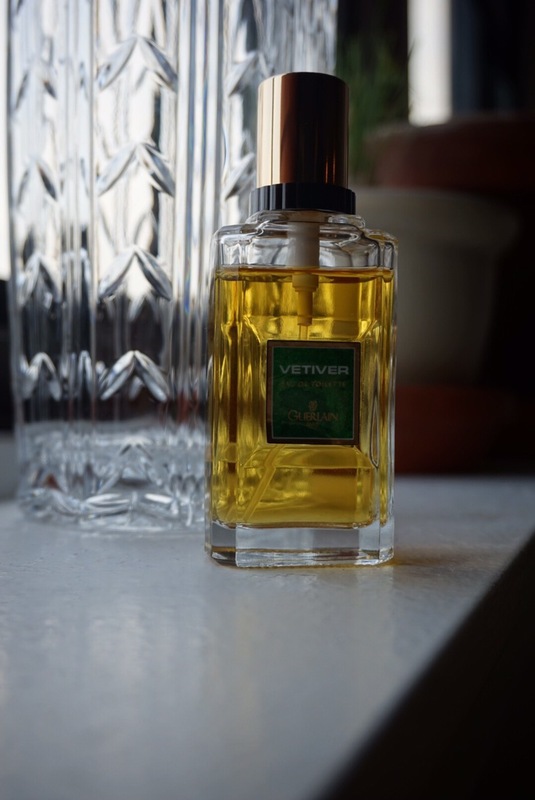 The vintage version of Vetiver (Guerlain 1959) is my favorite. With its genuinely fruity lemon and spicy vetiver aromatically swirling around the wearer at the start before calming to a gentle, heavenly and crisp citrusy vetiver scent laced with what smells like the remains of pipe tobacco from decades long past. And of course, it’s clearly a Guerlain, which is always a great thing. Top note: lemon. Middle notes: tobacco and vetiver. Base notes: nutmeg, tobacco and pepper. What a treasure to have in your collection, Karrie!